RTL Today - Elections 2018: New audience record for RTL! 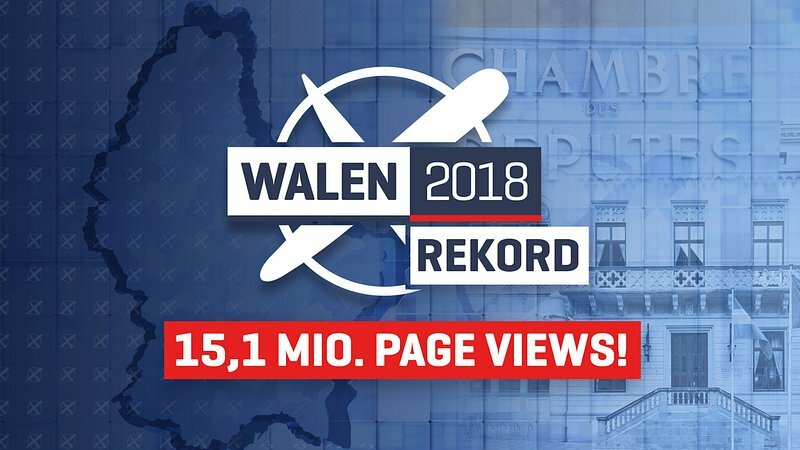 In only two days, from Sunday 14 to Monday 15 October, RTL.lu set a new record with more than 1.1 million visits and 15.1 million pages views*. This resounding response to our coverage confirms RTL’s leading position as Luxembourg’s primary information source during elections. The interactive tool with live election results on RTL.lu, which included regional and national projections provided by Kantar Public and TNS Ilres at the beginning of the evening, the live Radio and TV streams, as well as the live ticker continuously updated by RTL’s editorial teams all made essential contributions to this new record registered on the RTL digital media. Thank you, dear readers, for your trust!